You Are Here: Home > What Do You Need to Trade in Your Car at Midtown Toyota? At Midtown Toyota, we are proud to stock vehicles that are high quality and loaded with the latest amenities and technologies modern drivers are looking for. Our sales team will help you find what you are looking for at our Chicago, IL, Toyota dealership, whether it is one of our pre-owned or new Toyota cars. If you are trading in your current vehicle for one of the vehicles on our lot, the Toyota finance department will help you make the process a breeze. Before you trade in your car at your Oak Park Toyota dealer, there are a few documents you need to gather. 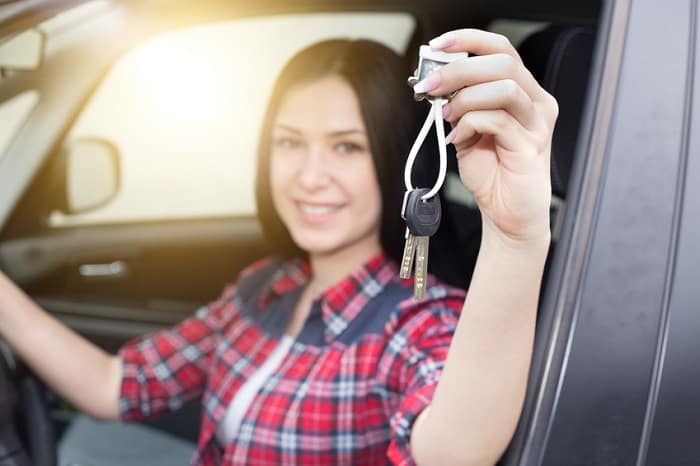 You must have the title to the car as proof you are the owner, which allows you to transfer the ownership to someone else. Make sure to have the vehicle’s owner’s manual inside the car along with the documentation of maintenance completed on the car, especially what work has been done in the past year. Keep those together in a safe spot prior to your arrival. The final thing you need to do is clear the car of any personal belongings. Do a thorough check under the seats and in all storage compartments before visiting our Toyota dealers near Evanston. Now that you are prepared to trade in your current vehicle, it is time to decide which new Toyota model suits your needs. Do you picture yourself in a sporty midsize car with outstanding fuel efficiency? Check out the 2019 Toyota Camry, which also comes equipped with the latest in safety technology. If you are looking for something a bit bigger that keeps you connected while on the go, see what the 2019 Toyota RAV4 has in store. This compact SUV comes with a Wi-Fi hotspot and has plenty of room to store what you need when you need it most. Please feel free to contact your Chicagoland Toyota dealers with any questions that come to mind about the trade-in process or about financing a new car. Feel free to get a head start by using our online tool to receive an estimate of the value of your trade-in prior to your visit. We look forward to seeing you soon!